Portenzo: love your craft, craft your love. A conversation with Darin Murray about Portenzo and the many products coming out of the workshop. 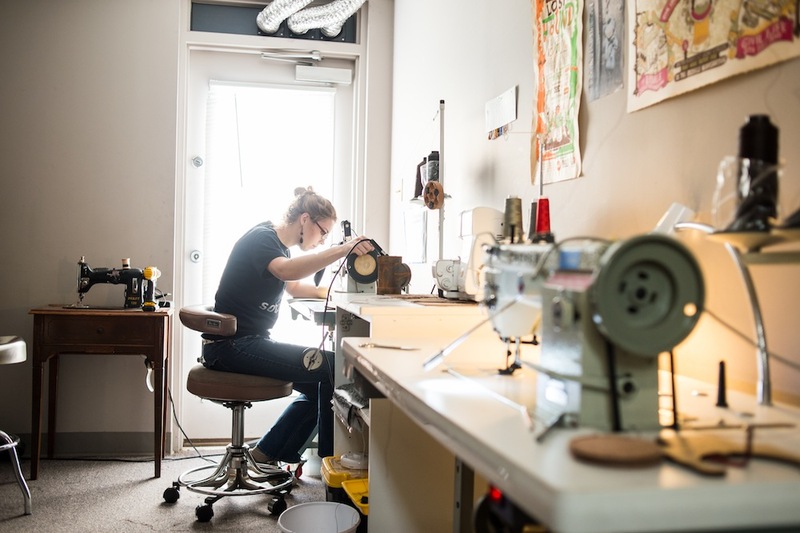 Kicked back in a chair, still donning his Knife + Flag apron, Darin told me the story behind Portenzo just before I toured the workshop complete with sewing rooms, a monogram station, and a very large collection of leather. Portenzo has been around for 4 years, but Darin has been crafting goods of various sorts for much longer. Founded on an idea of quality goods made with love, the iPad case was the first product and remains one of the core goods Portenzo produces. How did Portenzo come to be? I have had several businesses before Portenzo, many of which involved making (high end cabinets, concrete countertops, rehabbing and remodeling, furniture), and some which involved computer work (professional illustrator, web developer.) When the iPad first came out, a friend of mine ordered a popular product and said “dude, you should be able to do this”. At the time i wasn’t interested in getting into manufacturing. When his case finally came, it was already broken and falling apart.It was put together with haste, and was not high quality. It was not made with any love what-so-ever. There was no packing slip, no label on it, nothing. Just a shipping address on a box. I thought, if people are buying this, I can definitely make something that people would enjoy. Portenzo started out with the iPad cases. I was just tinkering in the garage in the beginning. Two weeks later we had a website and orders coming in from all over the world. 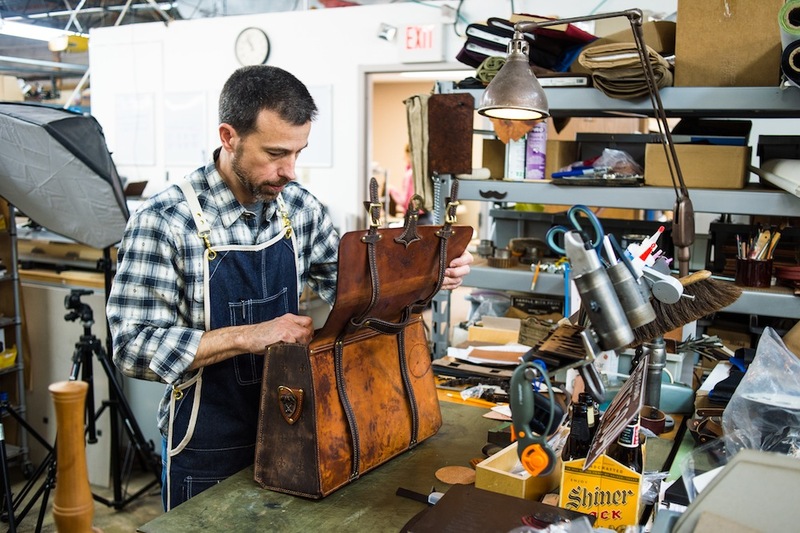 When did you stray from the iPad cases into other leather goods? 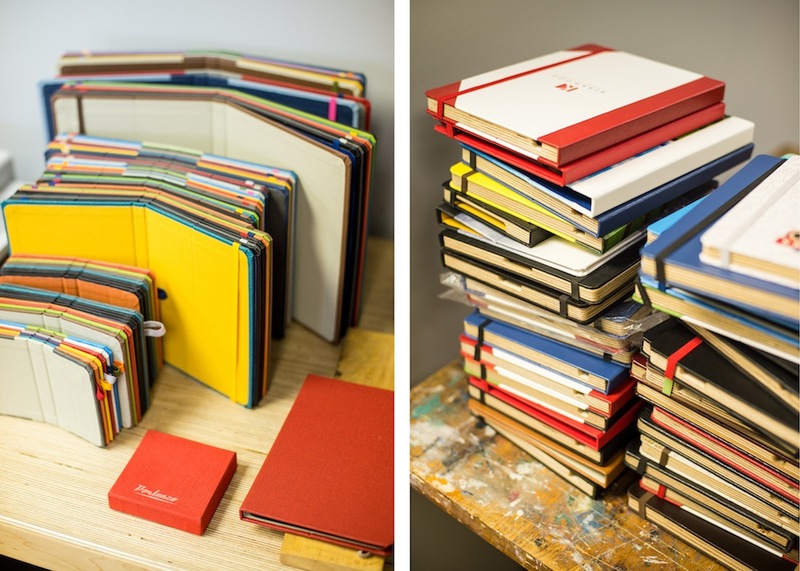 A few months after we started, we added a leather iPad case which became the Alano Collection. The first ones were made on my dining room floor with a cut mat. It was time consuming, so it kept being put on the back burner. Demand continued to grow for it. We added the lasering and embossing capabilities so we were able to do some really cool designs and the Alano collection kind of grew from there. What is your favorite thing about Portenzo? Making something quality. Making a product I can look at when i’m done and it doesn’t look homemade, even thought it is handmade. What have been some of your favorite partnerships or products? The Alano iPad case is made out of one single super thick piece of leather. It’s very unique. There is nothing like that out there. I’m also extremely proud of the bag line that we haven’t put out to the public yet. Those bags represent me in every way that I could want them to. I like being able to have such a full, diverse shop that allows me to have an idea, sketch some things out and have it made that day with all the resources in the shop. Tell me about the Lumberjack Leather line. 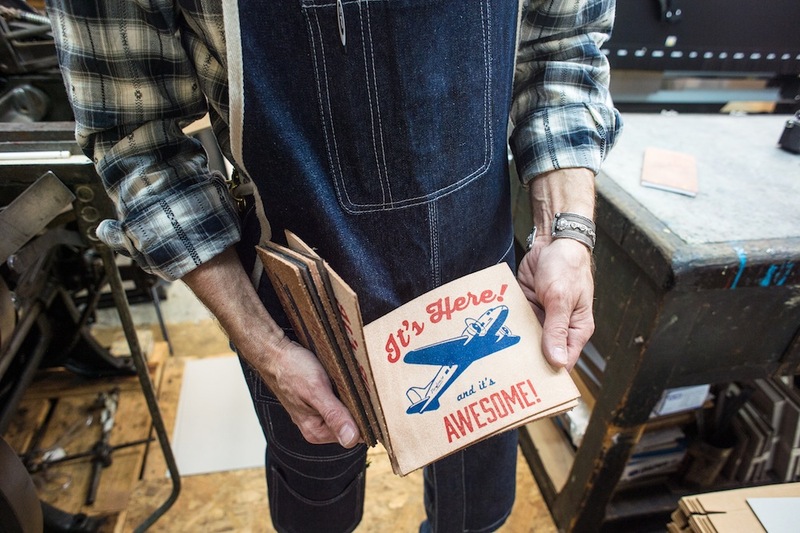 The Lumberjack Leather line was born out of necessity to have some super durable, high quality leather goods that stand out from your average stuff. Lumberjack is meant to have that rugged, course detail distinction. It’s meant for work in the field. It’s all for on-the-go working. Where did the name Portenzo come from? It was the name of an invisible childhood friend. Does your personal style influence the products you put out? 100%. I don’t want to make anything I don’t like and wouldn’t carry. Tom Huck. 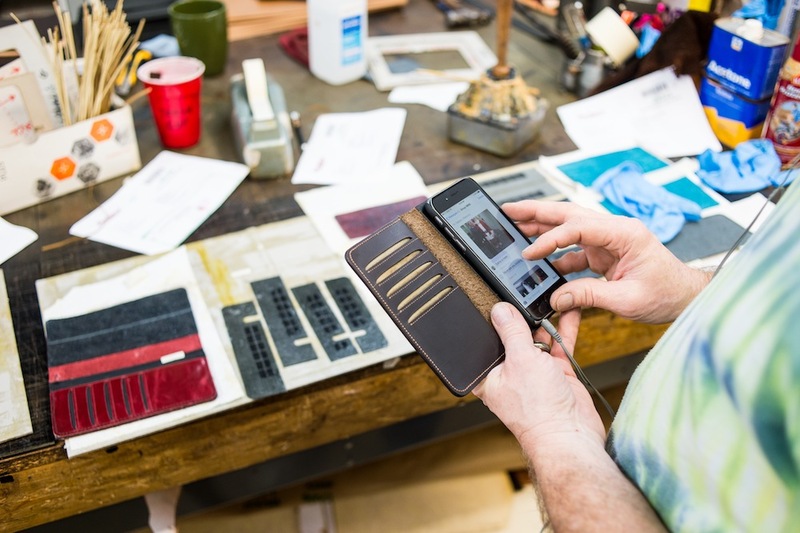 He’s not in leather work – he’s actually a printmaker – but he’s inspirational in the detail of his work and the quality and commitment he puts in it. Also, because you look at his work and can recognize that it’s Tom. 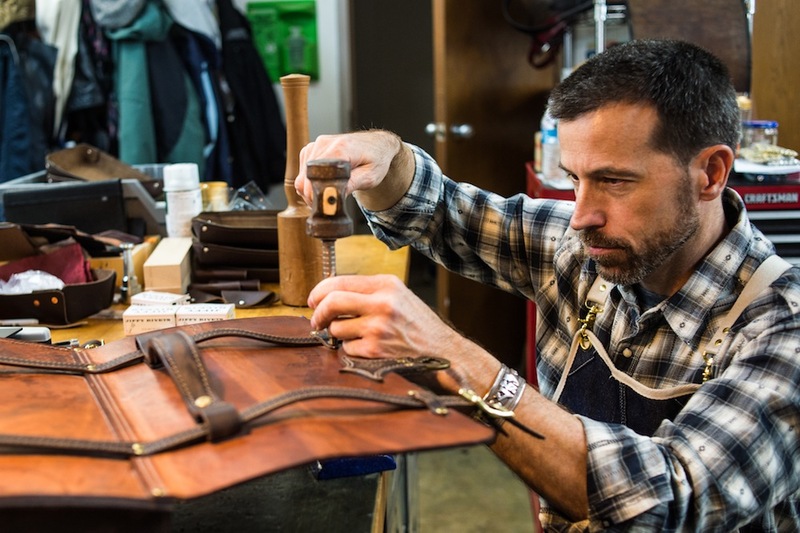 I really like the principle behind Saddleback Leather. He came up with stuff out of necessity and happenstance. It really spoke to him and he committed to it. Their stuff is made for lifetime use. Their motto is “ your kids will fight over it when you’re dead”. Speaking of mottos, does Portenzo have one? Love your craft, craft your love.